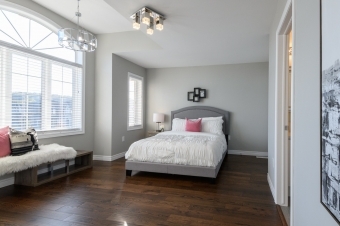 Occupied home staging is where property owners continue to occupy and live in the premises during the selling process with staging designed in a manner to allow functionality of the home and people living in it. In the case of occupied staging – property owners continue to occupy and live in the premises during the selling process. Some furnishings and accessories belonging to sellers are used for showcasing the property. In addition Gem Home Staging will bring in select beautiful accessories, accent pillows, artwork, silk plants, lamps and carpets to further enhance the beauty of the property. Occupied staging prices include staging & de-staging — labour, transportation / delivery, accessories, accent pillows, artwork, silk plants, lamps and carpets. I can truly say Lynn exceeded my expectations. Randie, my wife decided to a call a stager to help prepare our home before listing, I thought it would be a waste of money. When Randie started her search online to find a stager, she called three local companies leaving messages. Lynn MacMillan of Gem Home Staging was the only staging professional to return her called. After having a conversation with Lynn we decided to book a staging consultation. Upon Lynn’s arrival she toured our home, taking pictures and explaining her recommendations, the importance of staging and finally the process involved with show casting. The following day she sent us a detailed report with numerous recommendations to help us achieve the best ROI. We reviewed her report, completed her long list of recommendations and decided to proceed with the show casting. The day of the show casting is when the magic began. Lynn not only used our furniture but added her own inventory the enhanced the beauty of our home. Her inventory is fresh and current, her creativity plus eye for detail is amazing. Randie and I are so proud of the finished product. The house definitely has the WOW factor that potential buyers are looking for. We highly recommend Lynn, she has a strong work ethic, available when we had questions but most of all passionate about her work.